In this article we will see how to setup AWS Simple Notification Service(SNS) to send the push notifications to various devices/protocols. The AWS SNS delivers the SMS to subscribed mobiles devices, pushes to messages to HTTP/HTTPS end points, as an Email message or pushes the message to SQS(Simple Queue Service). Now, we will see hoe to setup and configure the SNS through the AWS console. Step 1: From the AWS console choose the SNS. Step 2: Click on “Create New Topic” and provide the topic name. Step 3: Click on “Create Subscription” and choose the protocol. In this case we want to SNS notification to HTTP end point and provided the HTTP end point details as well. 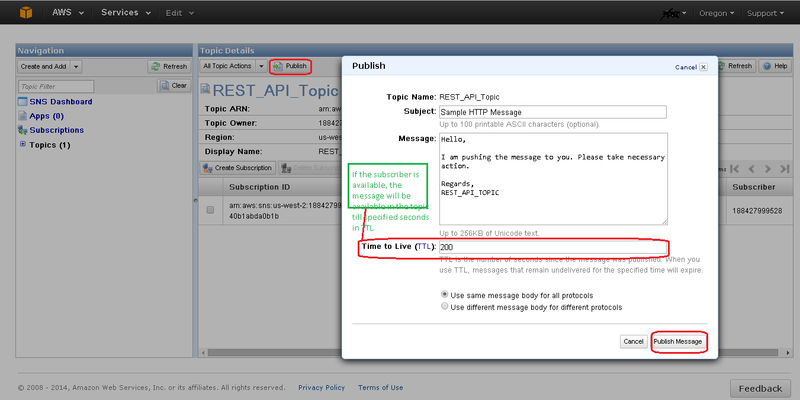 Step 4: After the subscription, the confirmation message will be sent to the subscribed end point. Click on the “SubscribeURL” to confirm the subscription. On the AWS console you will see the subscriber. Step 5: By now, the topic and the subscriber setup is ready. Its time to publish the message. Click on the “Publish” button from the AWS SNS console and provide the necessary details. Step 6: The subscriber has received the published message. Look at the end point console. For further information, go through this. Happy Cloud Computing !!! If I am understanding your question correctly, you have to use SMS gateway to send SMS programatically. 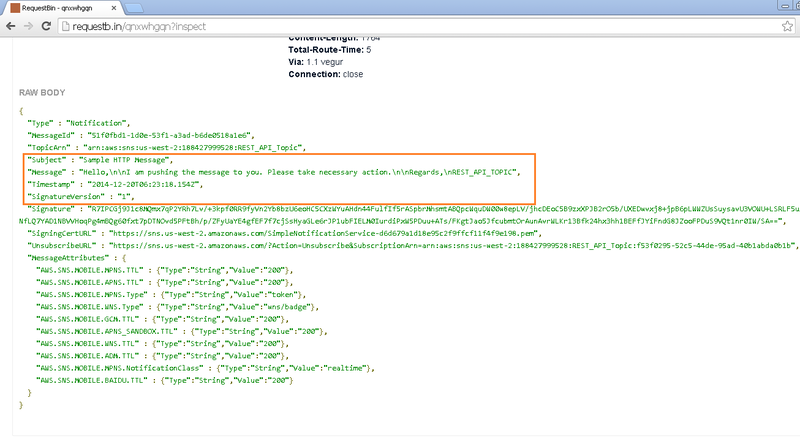 You can send bulk or SMS to individual number using the SMS gateway APIs.